If the ads for tax preparation services haven't yet gotten your attention, then perhaps the pile of W-2 and 1099 forms in your mail basket might. It's time to think about taxes. 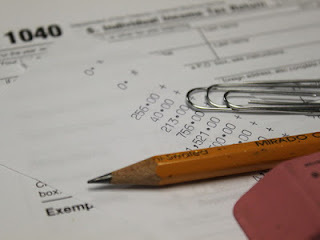 For the past several years we have reminded parents that they may be able to deduct certain expenses they incur for their child's special education. As set out in IRS Publication 502, the cost of tuition at a school with a program designed to help a student overcoming a diagnosed learning disability is generally deductible. Likewise, special instruction or tutoring outside of school, such as a certified reading instructor for a student with a diagnosis of dyslexia, may be deductible. Other items that parents should consider for deduction include transportation to therapy appointments, and technology that is designed to enable a child to benefit from special education, such as text-to-speech programs, other specialized technology, and devices such as hearing aides. These deductions are considered medical expenses and are subject to limitations as are all medical deductions. Raising children is expensive, and raising a child with special educational or medical needs is even more so. Make sure you speak with your accountant or tax preparer to take advantage of all the deductions to which your family is entitled.